We have been playing with the new NX Gen X6 miners from ZeusMiner for a few days already and have already shared some interesting findings from our testing, but it is now time for detailed reviews focusing on each of the new lower power usage Scrypt ASIC miners. 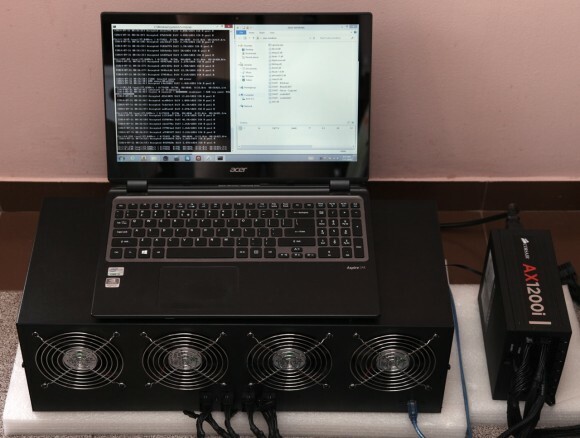 Beginning with the top model – ZeusMiner Lightning X6 Scrypt ASIC miner, rated officially as 40-42 MHS at 980W power consumption and being sold by ZeusMiner for $1399 USD, though you can already find it cheaper at their distributors. What Zeus did with their new X6 miners is to lower the voltage and operating frequency of their Scrypt ASIC chips and as a result we got the new lower power usage products. Now, if the reduction in power usage was not combined with new lower prices of the devices they might not have been so interesting with the continuing to increase Litecoin network hashrate. The lower power usage and the new lower price however do make the new X6 series of miner interesting option to consider if you are planning to invest in Scrypt ASICs. The ZeusMiner Lightning X6 might not be currently the most powerful in terms of hashrate Scrypt ASIC miner, however it is probably one of the best ones in terms of price per MHS from what is currently available on the market… especially if you manage to get it at sub $1000 USD price. 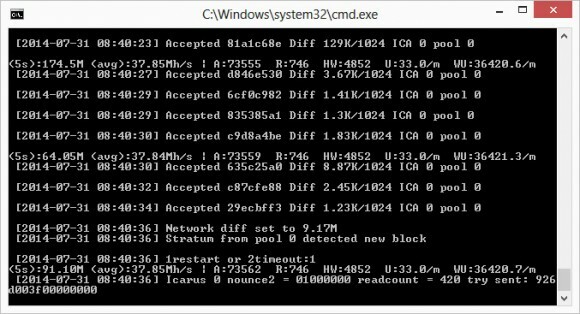 Zeus has a strange policy of citing hashrate for their products, but not giving a recommended frequency for their products and the miner software does require the user to give an operating frequency for the chips. This is still valid for the new X6 miners, meaning that you need to find the best frequency yourself, though you should start at around 220-230 MHz for the Lightning X6 as per our tests results. With the smaller Thunder X6 and Lightning X6, and probably the Blizzard X6 as well a good start frequency seems to be 250 MHz and we have found out the reason for this frequency difference. The ZeusMiner Lightning X6 has the Scrypt ASIC chips inside operating at 1.05V and the other miners from the X6 series use voltage of 1.1V and as a result they are able to operate at higher frequency without problems. 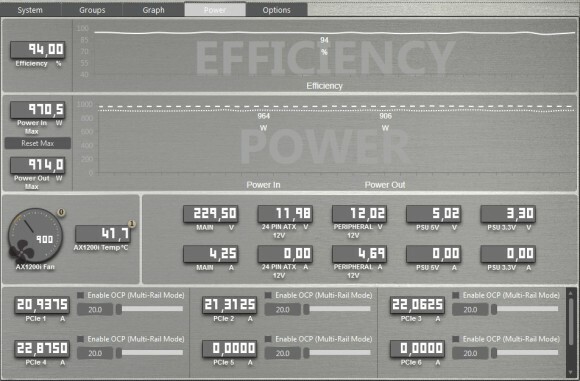 The lower voltage on the Lightning X6 was probably needed in order to bring the power usage level of the miner below 1000 Watts as otherwise the consumption could go as high as 1.1 KW or even higher and make it harder to find a suitable PSU for the device. We have measured the power usage of the Lightning X6 operating at a frequency of 230 MHz and the result we’ve got was about 906-914 Watts as actual power usage and about 970W measured at the wall (taking into account the PSU efficiency). The actual power consumption measured at the wall could be higher depending on the PSU used, the 1200W Corsair 80 Plus Platinum power supply we have used does remain with high power efficiency at the measured load, so there is not much power wasted, but you can easily go above 1000W with other not so efficient one. So apparently Zeus did a good job in lowering the power usage almost two fold with just about 10-12 MHS lower power usage compared to the previous generation miners with 256 chips. Our tests have shown that the optimal operating frequency of the ZeusMiner Lightning X6 Scrypt ASIC miner is around 220 MHz, though at that frequency the hashrate you can expect to get is slightly lower than what is being advertised – we are getting around 36-38 MHs with about 6.6% HW errors. If you increase the operating frequency of the chips to 230-235 MHz we can get about 39-40 MHS, but the level of the hardware errors does increase almost twice to about 12% which is even less acceptable. The higher the number of HW errors you get it means that you are pushing the hardware a bit too much, and even at 6.6% it is more that we would normally like to have. Zeus does advertise the Lightning X6 as a 40-42 MHS Scrypt ASIC, but we feel that a more adequate rating for the performance should be 38-40 MHS. Here is the situation with the poolside reported hashrate at the LTC Rabbit Scrypt mining pool using the new fixed difficulty ports for Scrypt ASIC miners and the Lightning X6 running at 220 MHz operating frequency. We are getting an average hashrate of about 37.4 MHs with peaks to almost 38.5 MHS and drops to about 35.5 MHs. At 230 MHz the poolside result was slightly higher with an average of about 39.2 MHS and peaks going as high as 40.8 MHS and drops to about 37.5 MHs. Of course the poolside hashrate can vary a bit based on multiple factors, but the locally reported hashrate we are getting shows consistent results with what the pool is giving us out as performance data. With the ZeusMiner Lightning X6 we see a good improvement in terms of lowering the power consumption for a 256-chip miner without too much of performance loss. The price of the miner is also very good considering that you can already find the Scrypt ASIC miner with a price per MHS of about $25 USD. We did not like very much the high level of HW errors that we are getting in order to be able to push a performance close to the one officially advertised hashrate, but the difference isn’t that huge. And only if the miner could not be so noisy, but at that power usage you can expect to have a lot of noise coming from the cooling fans used to keep the device cool.